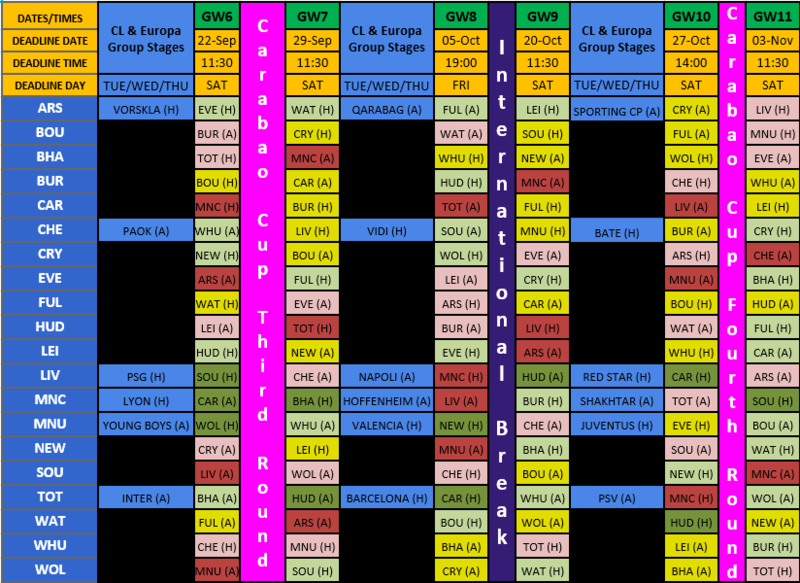 With Matt deciding to concentrate on the ‘weak’ teams in this week’s Fixtures article I decided I’d follow a similar theme and concentrate on some differentials. Everyone is well aware of what the likes of Alonso, Mane, Hazard and Kun are capable of, but what of the lesser lights? And in some cases the not so lesser lights! Every time I decide to write an article based on differentials I immediately regret it as soon as I sit down to decide which keepers should be included. There’s only a small pool to pick from and unsurprisingly all the good ones are highly owned. With that in mind you might give me some leeway this week! 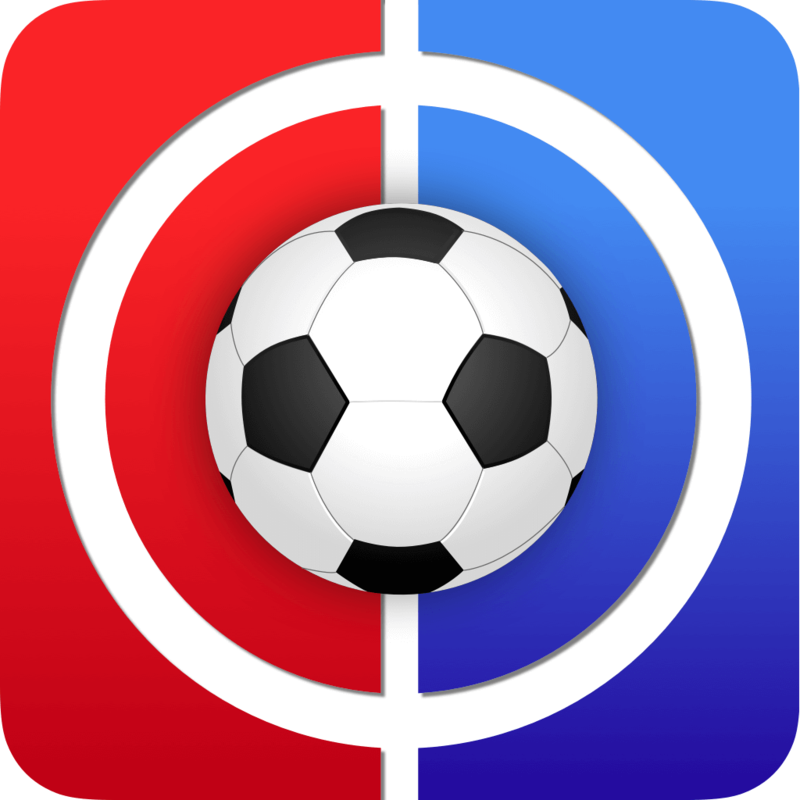 My picks are Wolves’ Rui Patricio (6.2%), Palace’s Wayne Hennessey (5.4%) and Burnley’s Joe Hart (6.9%). Reports over the weekend indicated that Wolves have agreed a fee of €18 million with Sporting Lisbon for Patricio. If this is the case they’ve gotten themselves a bargain. The Portuguese stopper is undoubtedly a top class keeper and with a well organised defence in front of him he could yet prove to be a bargain in FPL also. Wolves were perhaps unlucky to concede two against both Everton and Leicester in game-weeks 1&2, but against City in GW3 they hinted at what they were capable of when they conceded just the one. Patricio has since rewarded his owners with clean sheets in game-weeks 4&5.The stats are also pretty positive. Wolves have conceded just 50 goal attempts with only 18 of these being on target, in each of these categories they are bettered by just four teams. 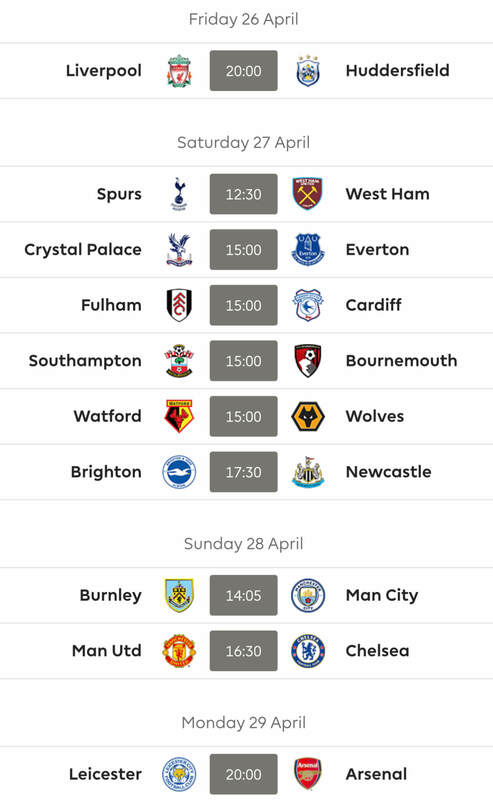 Following this weekend’s trip to Old Trafford they have a number of fixtures from which they are more than capable of picking up a couple of clean sheets. 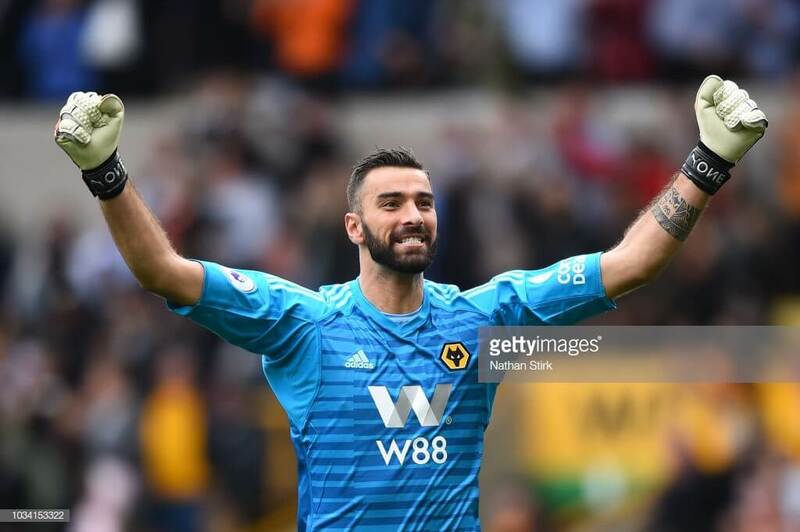 Should Wolves maintain their current form I believe that Patricio could be a ‘set & forget’ option. Similarly to Patricio, Wayne Hennessey has also picked up two clean sheets from his opening five games. Of the three games in which they conceded one was against Liverpool so we’ll allow them that while James Tomkins missed the other two games. The presence of Tomkins is crucial as his partnership with Mamadou Sakho is arguably the best outside of the ‘top 6’. In addition to his two clean sheets Hennessey also picked up extra points in four of his five games. Palace’s short term fixtures suggest another couple of clean sheets are not far away but it’s worth noting that their fixture’s between game-weeks 10&13 are horrid. Last week Rosco included Joe Hart in a section titled ‘the ugly’. Rosco clearly doesn’t appreciate the TV work which Joe has done with Head & Shoulders! Burnley may have only kept one clean sheet to date but Hart has made more saves than any other keeper in the league. He’s currently the 3rd highest scoring keeper in the league although his penalty save against United will have helped. By my rough calculations I reckon he’d be the 8th highest scoring keeper without that penalty save. Two of Burnley’s next three fixtures are against Cardiff and Huddersfield so there’s every chance he’ll boost his tally of clean sheets. Having kept just the one clean sheet from their opening five games the inclusion of a United defender might come as a surprise. The fact that it’s Antonio Valencia (0.7%) who’s priced at £6.5m may come as a bigger surprise. However, despite all the doom & gloom surrounding United at the present time I fully expect Mourinho to tighten things up at the back sooner rather than later. 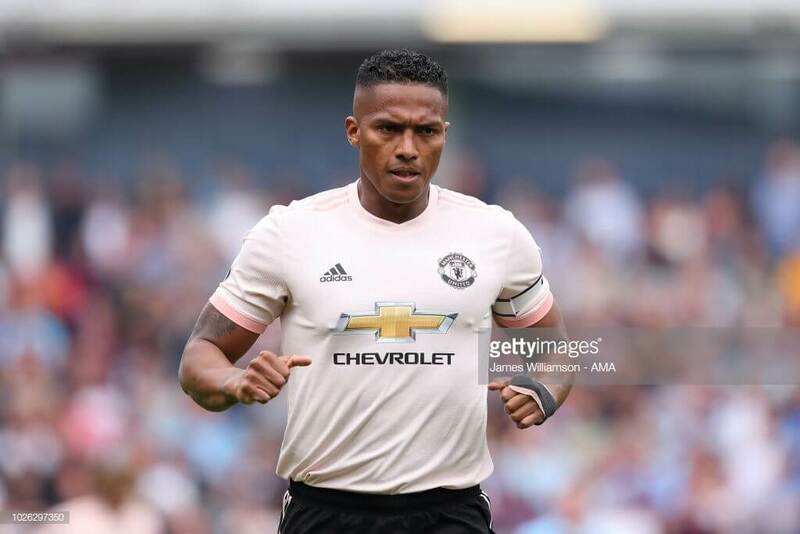 From an FPL point of view Valencia is a player who perhaps flatters to deceive in that he is viewed as an attacking fullback but doesn’t always pick up the attacking returns that we might expect. However, he has created six chances in the three games in which he has featured a figure only bettered by three defenders. Should Luke Shaw come straight back into the side this weekend I’d certainly be inclined to go for Shaw over Valencia but we’ve been here before with Shaw. Should United tighten up at the back I’d also consider Victor Lindelof. The Swede would appear to be first choice at present but offers little attacking threat and without the clean sheets he’s a non-runner. Ryan Bennett is priced at £4.1m, has started each of Wolves’ five games and with an ownership of 10% he can feel somewhat aggrieved by not being tipped this week. Instead however I’m including Wolves’ two wing-backs Matt Doherty (1.3%) and Jonny (0.6%). As we’ve already noted above Wolves have been relatively tight at the back this season but it’s because of their attacking qualities we are including both Doherty and Jonny. I’ll let their stats do the talking… Doherty has had 17 touches in the opposition area, Jonny has had 11 with the most (Pereira) being 19. Doherty has had eight goal attempts, Jonny has had six with the most (Alonso) being 13. Doherty has had three attempts on target, Jonny unfortunately has had none with the most (Shaw, Keane, Mustafi) being four. Doherty has created six chances, Jonny has created eight with the most (Holebas) being 11. So as you can see both have impressive stats and they are probably unlucky to only have a solitary assist between them. I’ve had a look at their respective heat maps and both are spending most of their time in the opposition half. Doherty is actually playing further forward than Marcos Alonso. If I had to pick one of them it would certainly be Matt Doherty but given his stats Jonny also warranted his inclusion this week. Both Bournemouth and Leicester have struggled for clean sheets with just one each. However, both have some great fixtures over the coming weeks and are therefore worth some consideration. Of all the Bournemouth defenders Steve Cook (9.7%) actually has the highest ownership of all but his stats suggest he’s the biggest threat in the opposition area, hence his inclusion. At Leicester it’s a straight choice between Ricardo Pereira (5.2%) and Ben Chilwell. Their stats are quite similar and if anything Chilwell probably shades it but I’m going with Pereira on the basis that he has already picked up three attacking returns. If we told you that a player who finished last season with 229pts, and already has three goals this season, only features in 2.9% of teams I’m not sure you’d believe us. There is one small issue and that’s his price. The player in question is of course Raheem Sterling and his price is currently £11.0m. 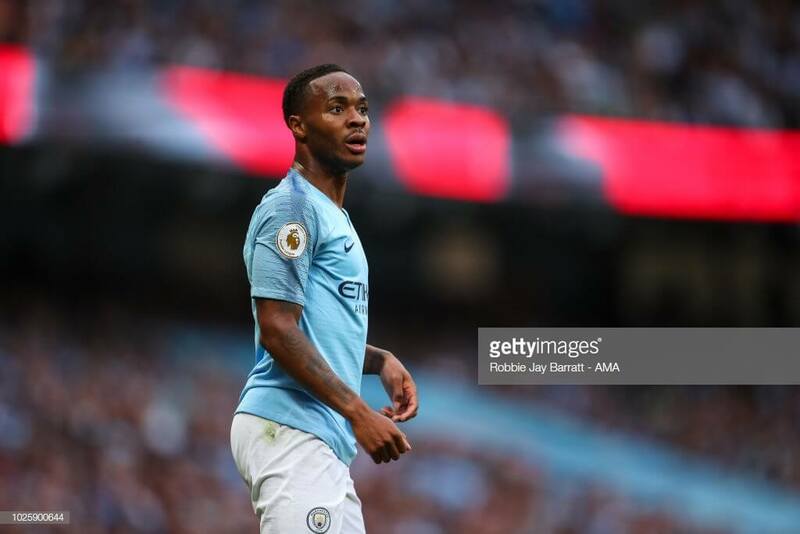 Sterling is currently the 8th highest scoring midfielder but with premium options such as Hazard & Mane scoring regularly, and a number of mid-priced options also doing well it has meant that there is no place for Sterling in the majority of teams. However, he has featured four times this season and as already mentioned has scored three times. It’s also worth noting that the game in which he didn’t feature was the 6-1 win over Huddersfield, had he played there’s a possibility he’d be rivalling the likes of Hazard and Mane. His stats also make for positive reading. He’s had 38 penalty area touches with only Mo Salah having more. He’s had 13 goal attempts which isn’t great but seven of these have hit the target with only four players having more. It currently appears as though Hazard is moving towards ‘must have’ status but for those of you considering going without Liverpool’s attacking options for the next few weeks I’d strongly advise you consider Sterling. He’s the ultimate differential. While we’re on the subject of City midfielders it would be remiss of me not to mention David Silva. His stats aren’t quite as impressive as Sterling’s, although he has created 16 chances, but he is £2.5m cheaper. Featuring in just 8.4% of teams he’s also a differential and with two goals to his credit he’s in decent form. At times throughout every season different budget options will perform above their price-tag. Occasionally these players will turn out to be season keepers. One player who currently fits the former is Bournemouth’s Ryan Fraser (10.9%). Whether he turns out to be a season keeper remains to be seen. Bournemouth have scored 10 goals in their opening five games with only Chelsea, City & Liverpool having scored more. With three goals and two assists Fraser has had direct involvement in half of these goals. He’s created more big chances (six) than any other player in the league. Currently priced at £5.7m he’s a bargain and given his current form you will happily play him every week. Bournemouth’s fixtures until the end of October also dictate you will play him every week. Aleksander Mitrovic has been grabbing most of the headlines down at Craven Cottage. However, should you have no place for the Serb in your forward line you may want to consider some of his Fulham colleagues, Andre Schurrle (5.1%) or Jean Michael Seri (3.8%). Schurrle has two goals to his name while Seri has a goal and an assist. Originally I was leaning towards Seri as at £5.4m he’s £0.5m cheaper, however after looking at their stats Schurrle is the one you want. He’s had a total of 19 attempts with eight of them on target and has been bettered by just three other midfielders in each category. I’m struggling to include any further midfielders. James Maddison has certainly passed the eye test, however I feel he has been somewhat fortuitous. Alisson’s howler gifted him an assist and last weekend he scored a late penalty when Vardy wasn’t on the pitch. I want to include Son but Spurs have been poor of late and he didn’t exactly impress against Inter on Tuesday night. I even considered West Ham’s Yarmalenko but that would undoubtedly be a case of chasing last week’s points. A couple of weeks ago when asked about Romelu Lukaku (10.4%) in our GABO article I replied, “Unless something changes at Old Trafford I can’t see Lukaku coming into my team at any stage this season”. I fear I may have been a little hasty with my reply. Having featured in the 3rd/4th place play off at the World Cup I suspect Jose would have wanted to give his striker more of a break but United are apparently short of striking options and this saw the Belgian come off the bench in GW1. He has started each of the four games since and has scored four times. 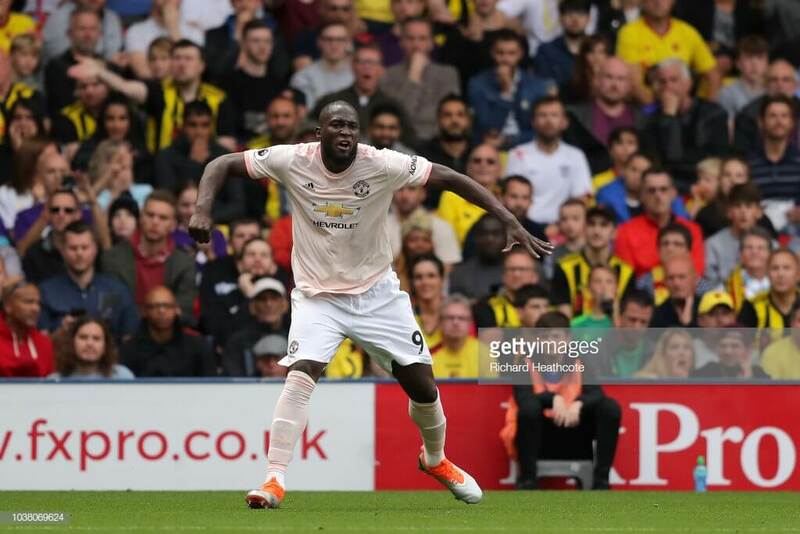 If United are to be competitive this season a lot depends on Lukaku maintaining this form. At £11.0m he’s obviously expensive and with the premium defenders scoring heavily and a number of the premium mids also doing well it means most of us have room for only one premium forward. That one premium forward for most of us is currently Sergio Aguero and it would take a brave man to ditch the Argentine but let me play devil’s advocate for a moment. Despite starting each of the five games this season he has only scored in one of those games. Ok, so I’m clutching at straws particularly as Aguero’s underlying stats are better than those of Lukaku, although Lukaku’s are impressive. However, should Lukaku’s form continue I expect his ownership will steadily increase. Our next forward is not only a differential but a punt having played just 159 minutes of football this season, it’s Chelsea’s Olivier Giroud (2.6%). He made his first start of the season last weekend against Cardiff and picked up a pair of assists in the process. Despite his immediate impact Maurizio Sarri has said he will rotate both Giroud and Alvaro Morata over the course of the season. The problem with this is Morata’s form, currently he’d struggle to hit a cow’s arse with a banjo. If Chelsea are to challenge for the title this season a lot will depend on the form of Eden Hazard and it would appear as though Giroud’s all round play compliments Hazard more than that of Morata. Following the win over Cardiff Hazard said of Giroud, “Olivier’s a target man, maybe the best in the world; I think so.” High praise indeed. Unfortunately there are two issues with Giroud. First of all it is quite likely that Hazard will score a large percentage of Chelsea’s goals and therefore many will be reluctant to double up. Secondly, he will continue, certainly in the short-term, to rotate with Giroud. However, he is currently priced at just £7.8m and at that price point he should be monitored. Having lost their opening two games to City and Chelsea, Arsenal have bounced back well with three wins on the bounce. Albeit without actually impressing. They have however scored eight goals in those three games with Alexandre Lacazatte (4.2%) claiming a goal and three assists in this period. In the two games in which he’s started (game-weeks 4&5) he had more penalty area touches than any other forward and had eight goal attempts with three of these hitting the target. When on the pitch he has played through the middle with PEA being pushed out wide. This obviously makes him the focal point of the Arsenal attack and with Arsenal having a relatively straightforward run of fixtures over the next few weeks the goals will surely come. I’ll finish with two budget options. One of whom is a relatively safe pick whilst the other could be described as something of a ‘hail Mary’ pick. The first is Raul Jimenez (5.0%) who is available at £5.5m. The Mexican international scored his 2nd goal of the season last weekend, has started every game and has quite impressive stats for a player priced at £5.5m. Crystal Palace have some decent fixtures over the coming weeks and with Christian Benteke currently side-lined Jordan Ayew (0.3%) is likely to continue in support of Wilfried Zaha. I have no stats to back up his inclusion but I’ll just remind you that this was a differentials article. You can thank me when he scores a brace at the weekend! Hey guys, any advice appreciated! Need to sort out my bench but not the current priority. Any thoughts on Wally, should i stick against Ars (he does love scoring against his former teams). Any others I should be thinking about? Cheers!